More on Who are we? Subscribe to Who are we? Data retrieved from Pew Research Center 2011. More women are becoming mothers before they’re married. In 1960, 4 percent of new mothers were unmarried, according to a Pew Research Center study. By 2011, that number had risen to 27 percent. “It used to be that marriage was something young people did before they had sexual relations. That’s totally history now, of course,” said Barbara Risman, a sociology professor at the University of Illinois at Chicago. 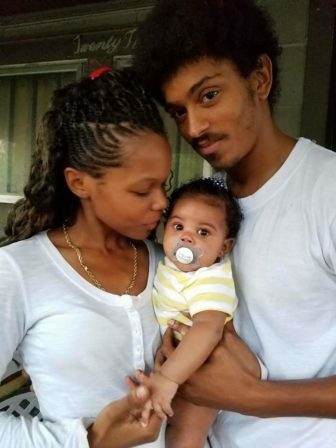 Watts gave birth to her daughter two years after graduating from high school in 2014. “I always thought I’d be married before having kids, but things don’t always happen the way we think,” Watts said. The father of Watt’s daughter, Tamaj Rice, works in a family-owned liquor store in Flint. Lina Watts and Tamaj Rice are pictured with their daughter Lily, who is now over a year old. In the same study, Pew reported that among mothers of infants with high school education, 12 percent were married, while 8 percent were unmarried. The number of children living in a two-parent household is 69 percent today, compared with 73 percent in 2000 and 87 percent in 1960, according to a Pew study. 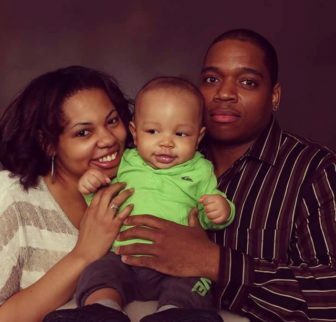 Ariel Townsend, an accounting graduate of Grand Valley State University, is a married mother of a 3-year-old boy. Townsend is married to Mike Clark, an engineering graduate of Northwood University. “My husband graduated from college a couple years before me, and when he started working, we began considering marriage,” Townsend said. The couple married in 2013 and had their son a year later. Spouses Ariel Townsend and Mike Clark named their baby boy Todd. “I got married before having kids because I always felt that would be a better environment for my kids to grow up in,” Townsend said. The Pew study also showed that of the 66 percent of mothers with some college or more, 52 percent were married. Josie Frasier would like to work in early child education. That’s the field in which she has an associate’s degree. We may be Americans, Michiganders and Spartans — but what does that really mean? The Spartan Newsroom special projects team takes a look at some of the characteristics that shape our community and make us who we are.